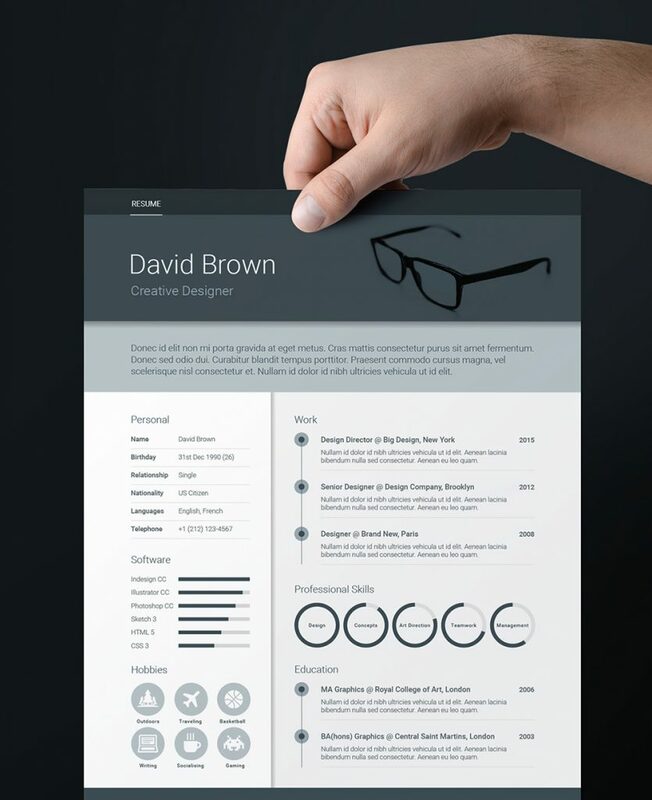 In this article, you will find professional free Adobe Indesign resume templates to make your resume look creative. 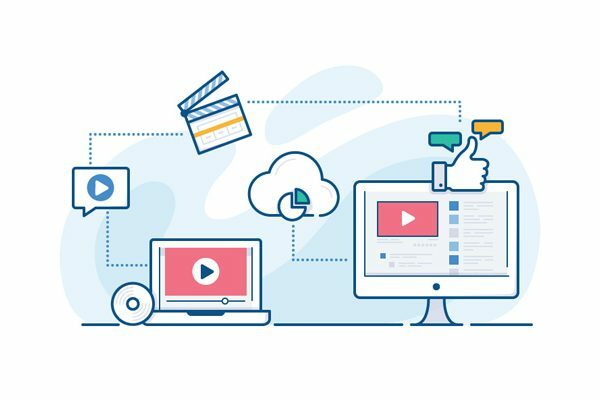 The importance of having a unique resume looks great for all job seekers and gives you a great impression on your prospective employer. 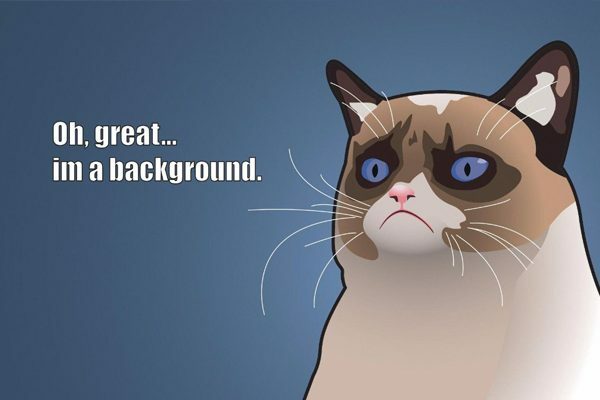 Your resume is always going to the be the first impression to any potential employer has upon you. This is always a very important step to take when you are about to start job searching. 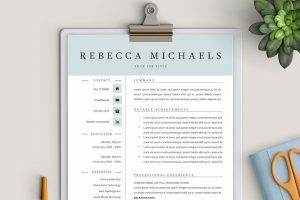 Having a resume with a clean, unique, elegant, bold look always looks personal and appealing to you and to your potential employer. 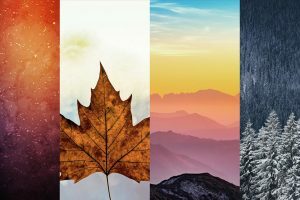 In this post, we have included free templates as well as templates that you can purchase for a premium more professional design. 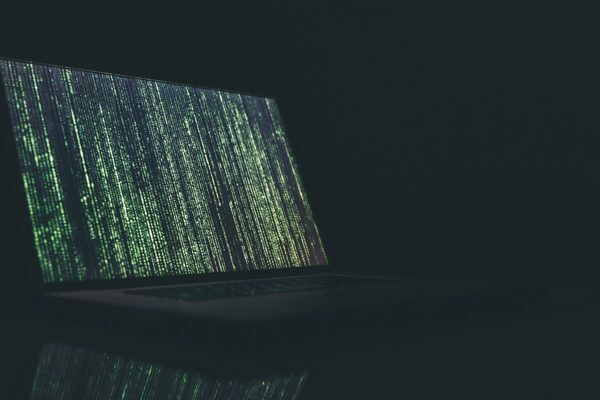 The templates do require you to have one of the following software: Adobe Indesign, and possibly MS word, Photoshop, illustrator to edit and update as you would desire. We have made this mainly directly to use Adobe InDesign but other software may be applicable. 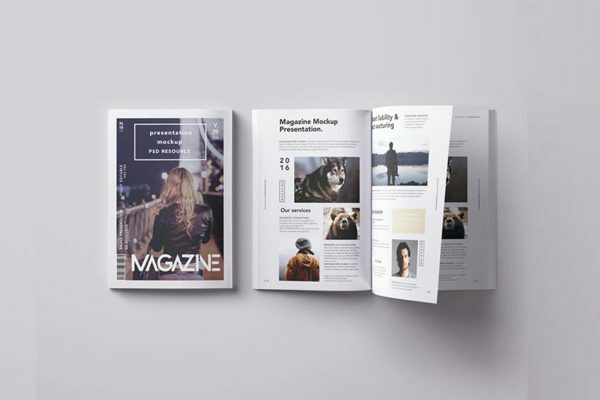 We have gathered a variety of creative InDesign resume templates that are FREE for you to download and use for your next resume update. 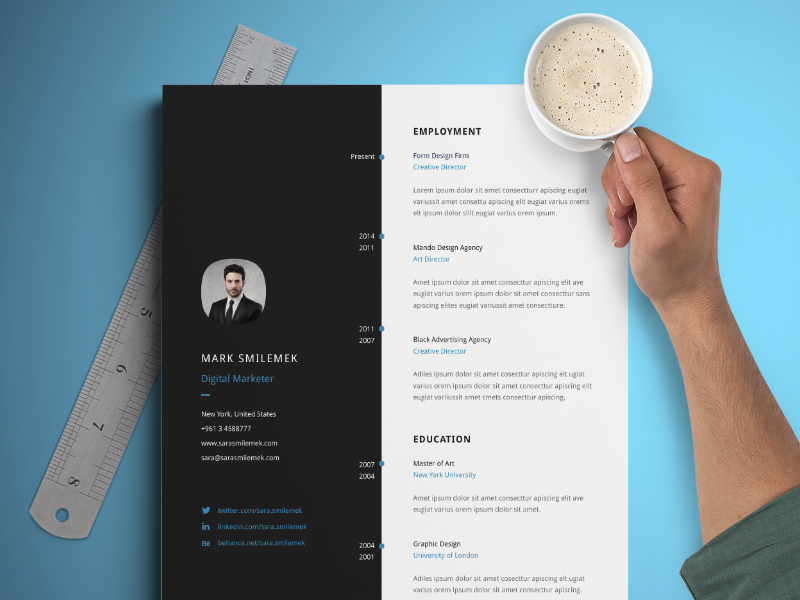 These templates will make your resume awesome and give your career story a brighter attraction. 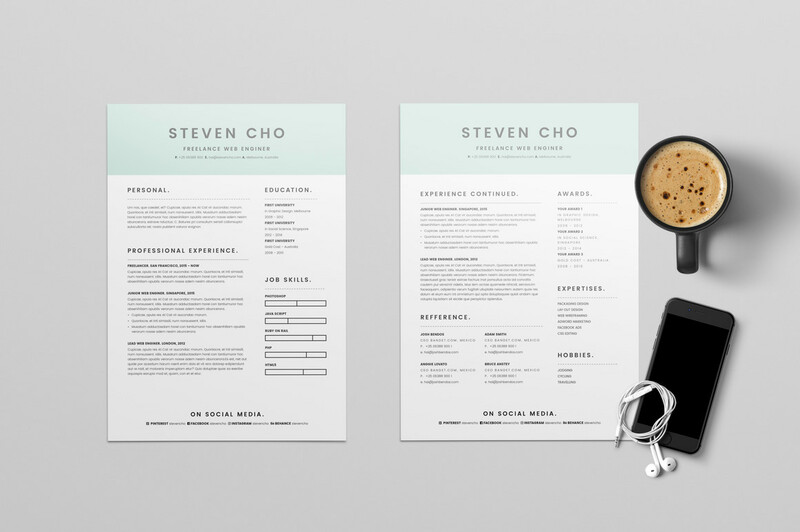 So here are the 26 best free Indesign resume templates to make your resume in minutes. The document size is U.S. Letter and it has the proper bleed with the margins on the sides. The file also comes with Microsoft, PSD that lets you edit any text or images that you would desire. 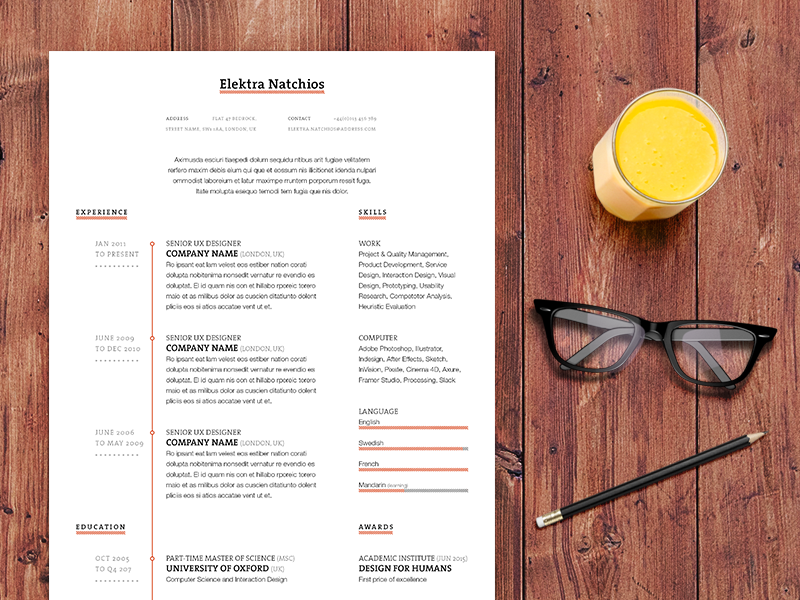 Are you looking for a simple bright resume for your own personal use? 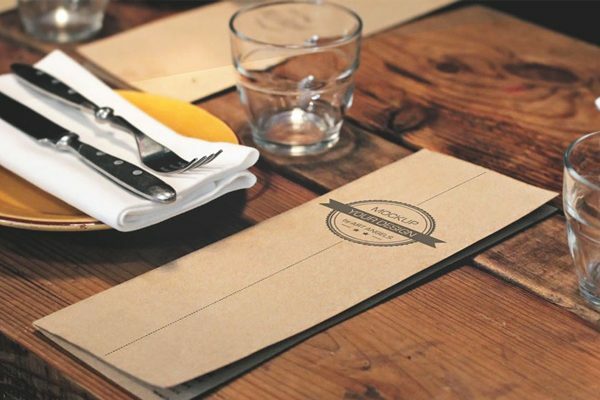 This free template will help you build the simple attractive template you will need. 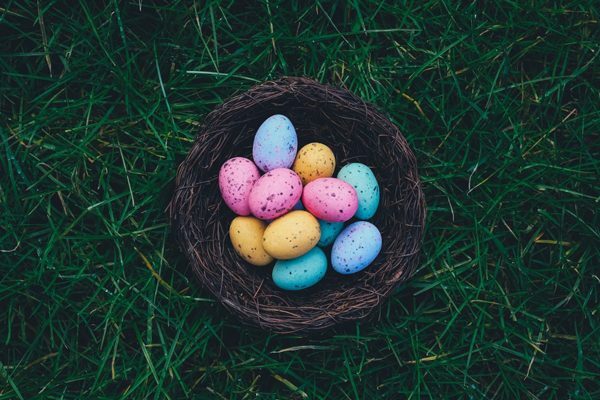 We have included Word Docx and PDF documents for easy editing. 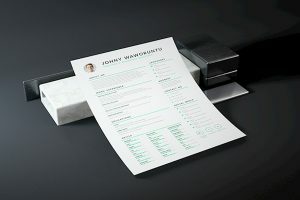 You can later print the A4 resume in high-quality 300dpi output as well. 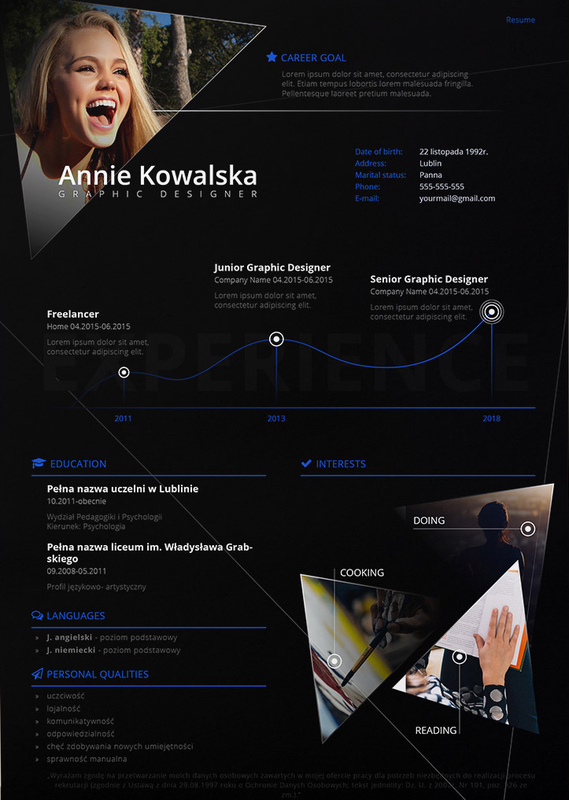 This resume has an extremely clean layout to present your skills as well as make it personal with adding your photo. 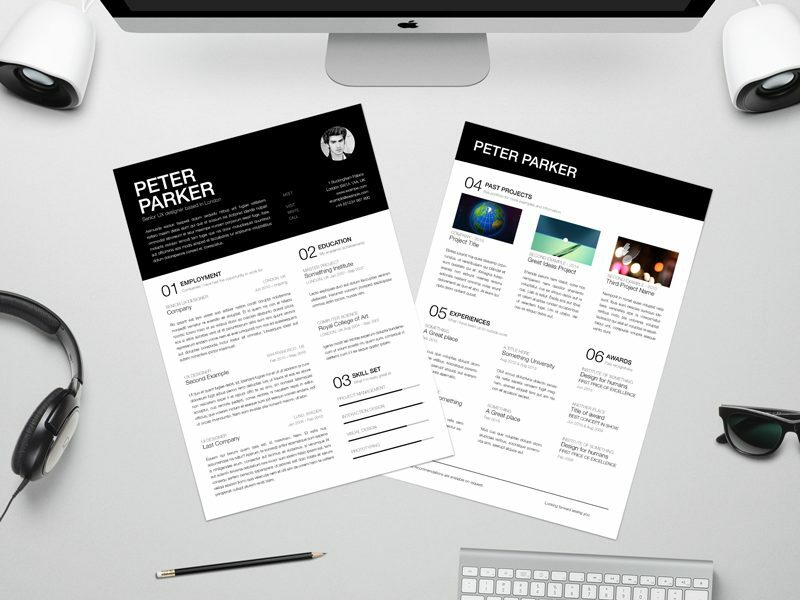 This file can be edited quite easily as this resume template is a CV and Vita file. 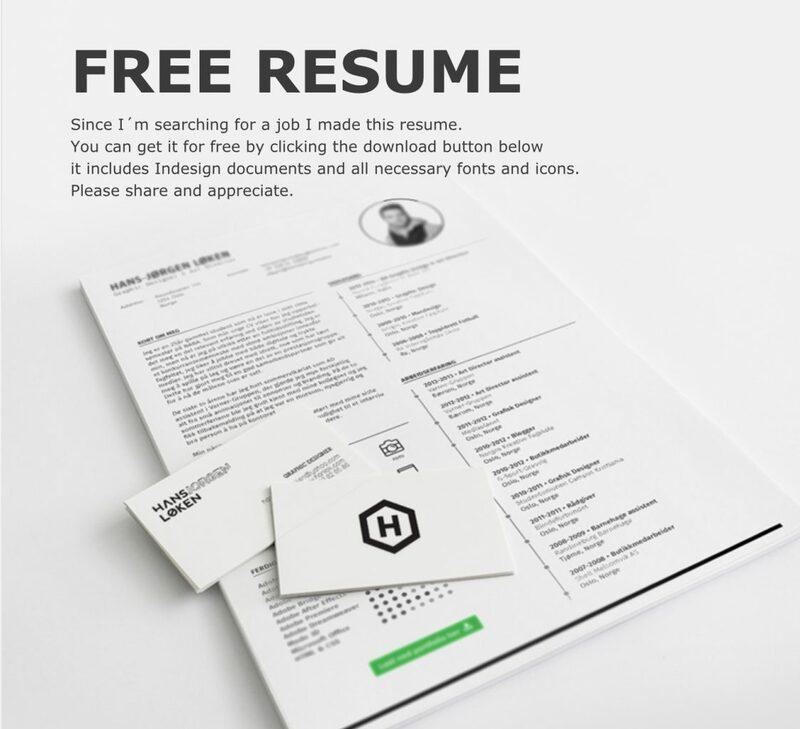 This is a free professional resume template that can be for both commercial and personal use. 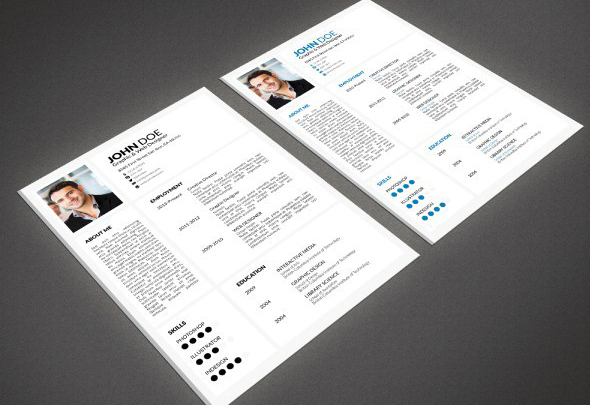 It includes the resume template in two formats as well as the fonts used. 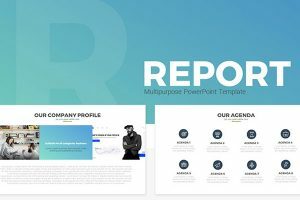 Template Includes: InDesign template .indt, Word .doc & .docx files, Illustrator .ai file, Adobe PDF .pdf, Icon(s) used, Fonts used. 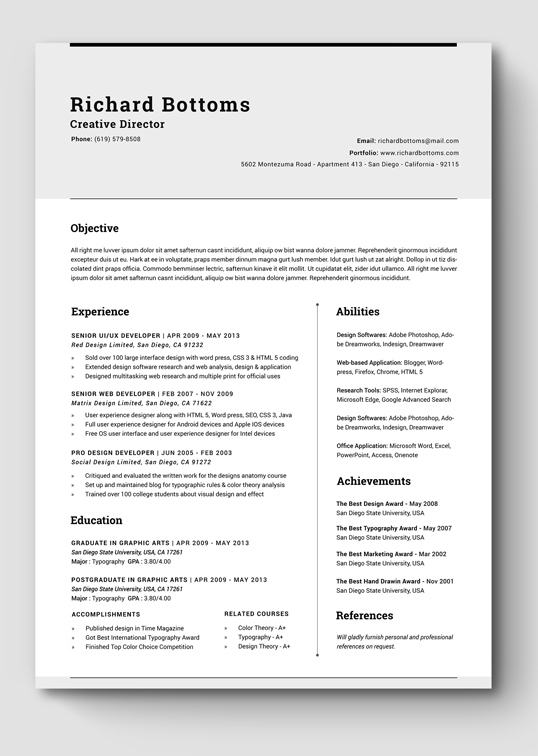 A vintage style black and white color resume template. Can be used for any type of use. 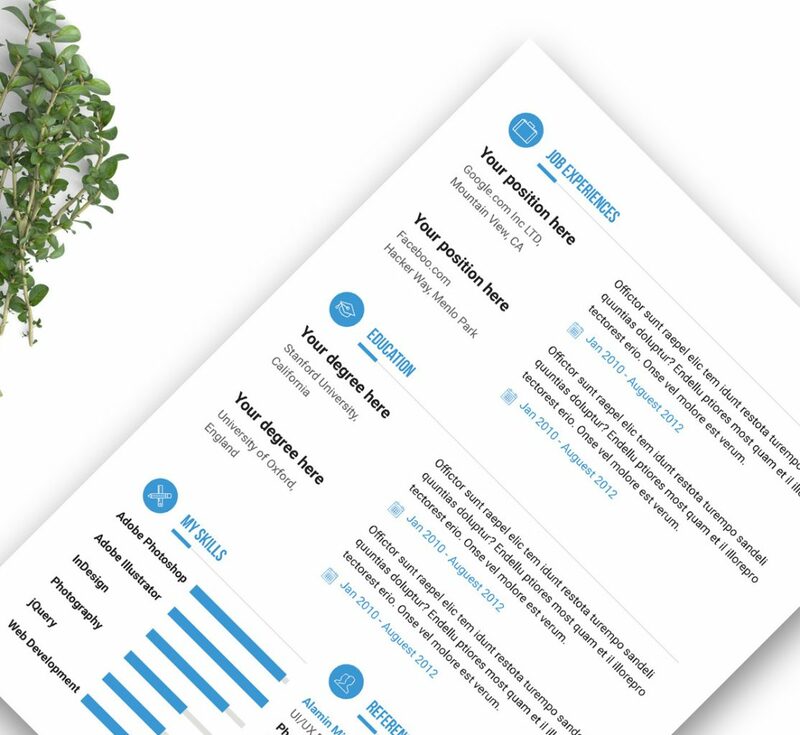 Create your own fully customizable resume set where you can display your experience, skills, references, and education. 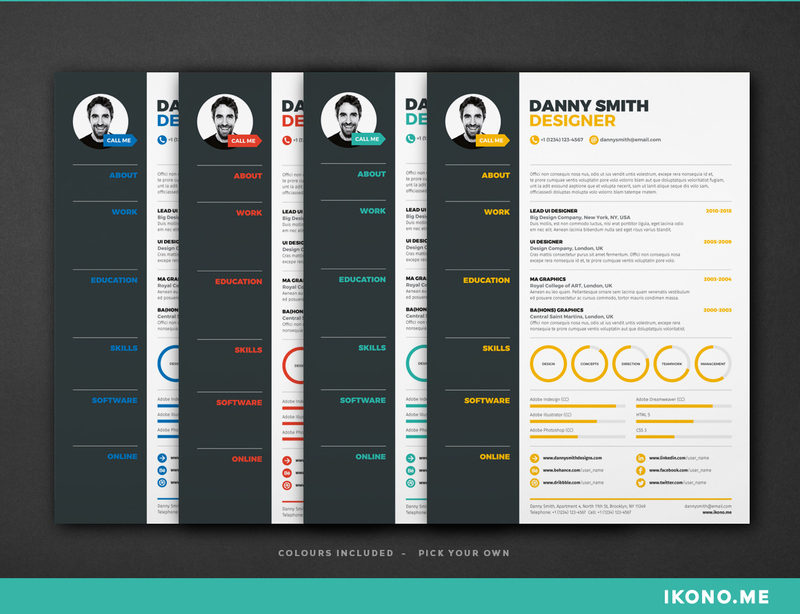 This Danny Smith super clean, functional and professional layout comes in four colors that were created to help recruiters focus on relevant skills and experience. 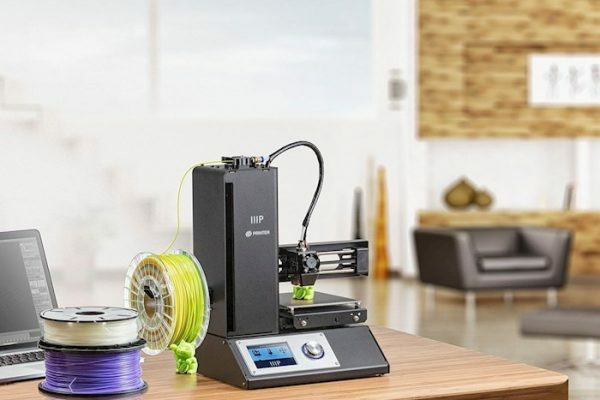 There are several layouts options that are pre-built so that you can add all information desired. 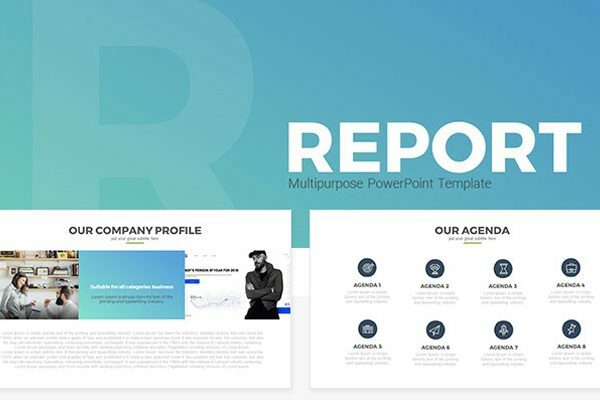 There will be three different options that are included on resume page, cover letter, resume and a portfolio page as well a variety of icons. 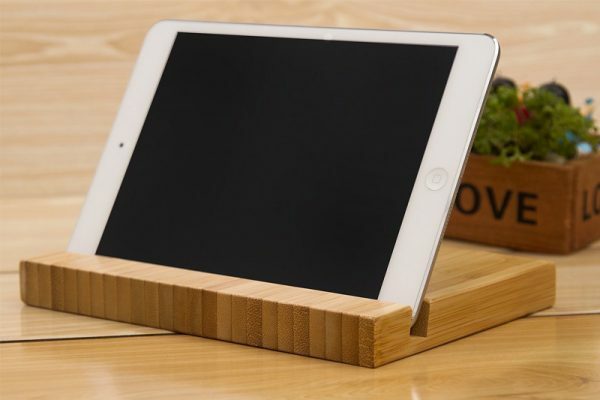 This is a pixel perfect design that was beautifully handcrafted for you to express yourself more. 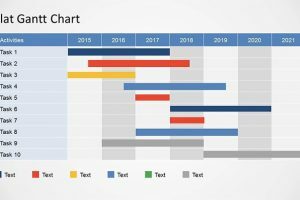 There are four documents that you can choose from and easy to edit layered and organized. 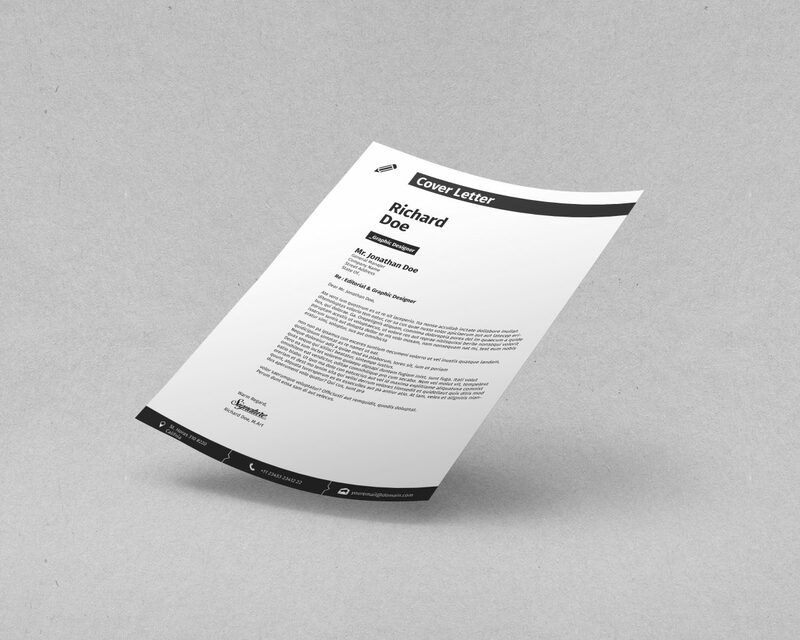 The resume template is easy to print on an A4 paper and has the 3mm bleed with DPI setting. 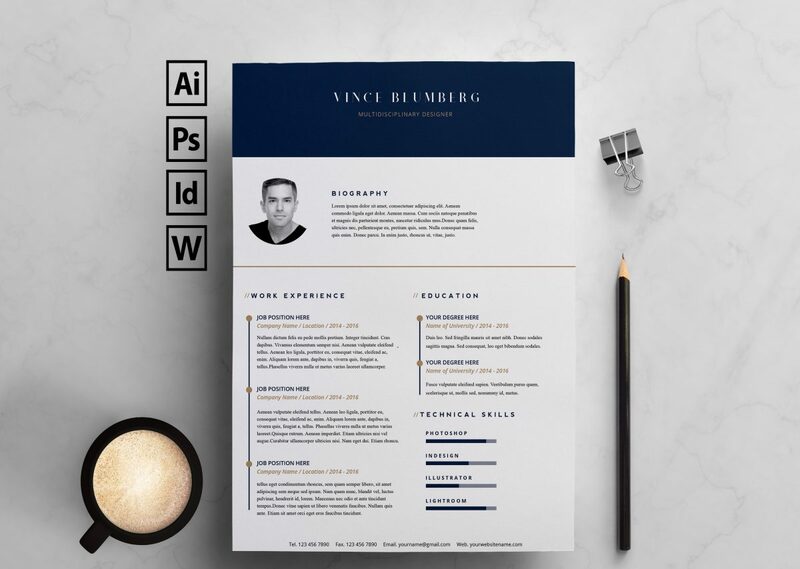 A minimal unique template with fine details to show off your resume as well as a nice cover. 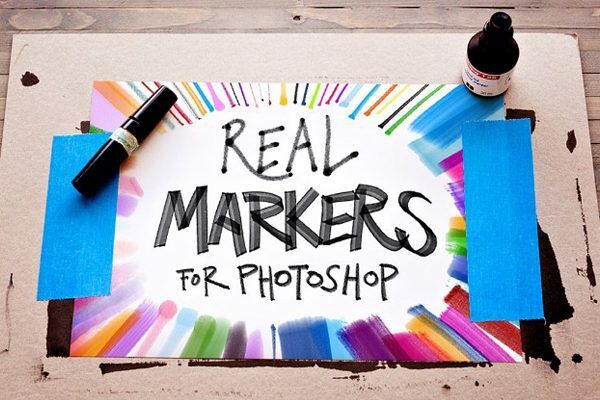 The photoshop file is well layered and grouped nicely with smart objects. You will also have control over illustrator and Indesign documents. 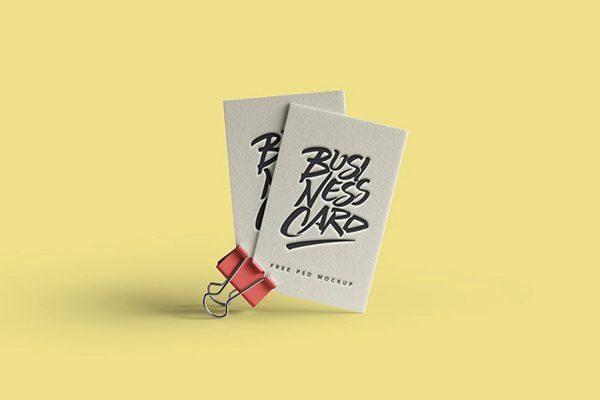 A different creative look intended for designers and other personal use. 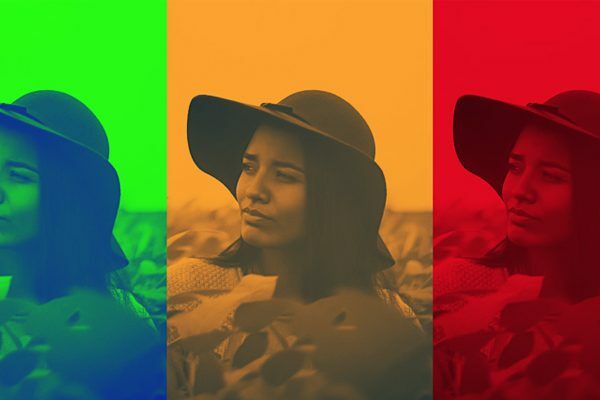 You will find the colors and complexity different from you have come across. The file format is Ai and it uses Open Sans. 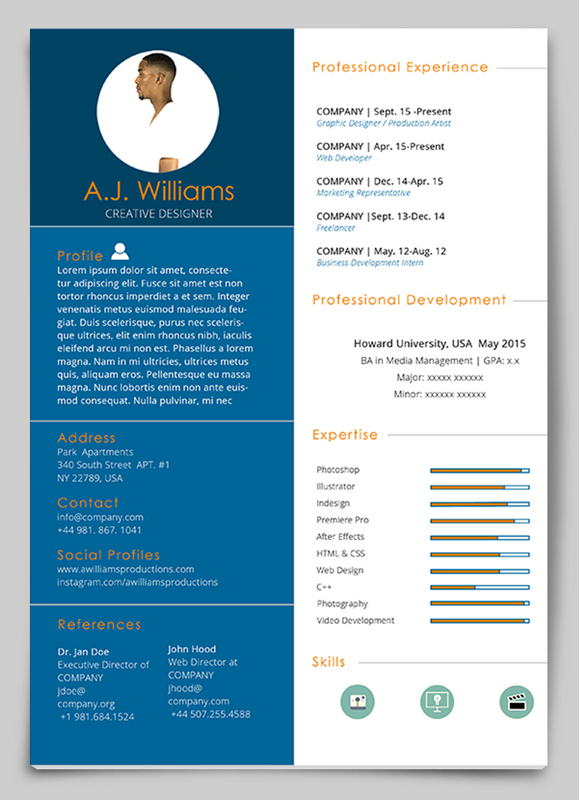 Are you looking for a cleaner version of resume but yet detailed? 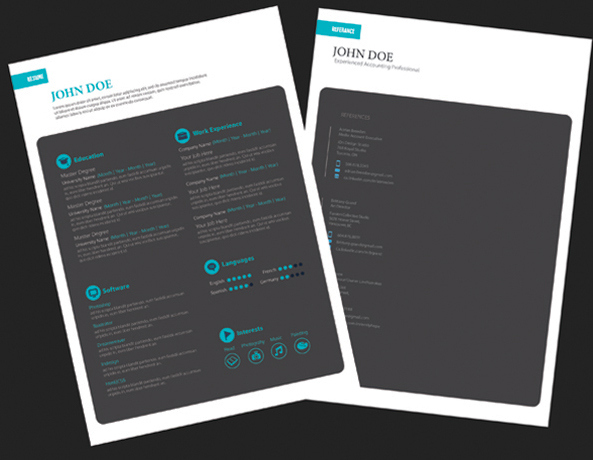 This is a perfect type of resume template that comes in two different colors from a light and dark version. There is a PDF file for a preview that can be created. 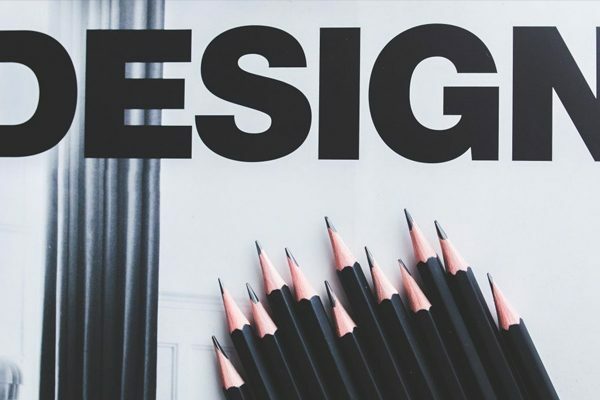 The files are compatible with Adobe InDesign, Photoshop, and Illustrator. 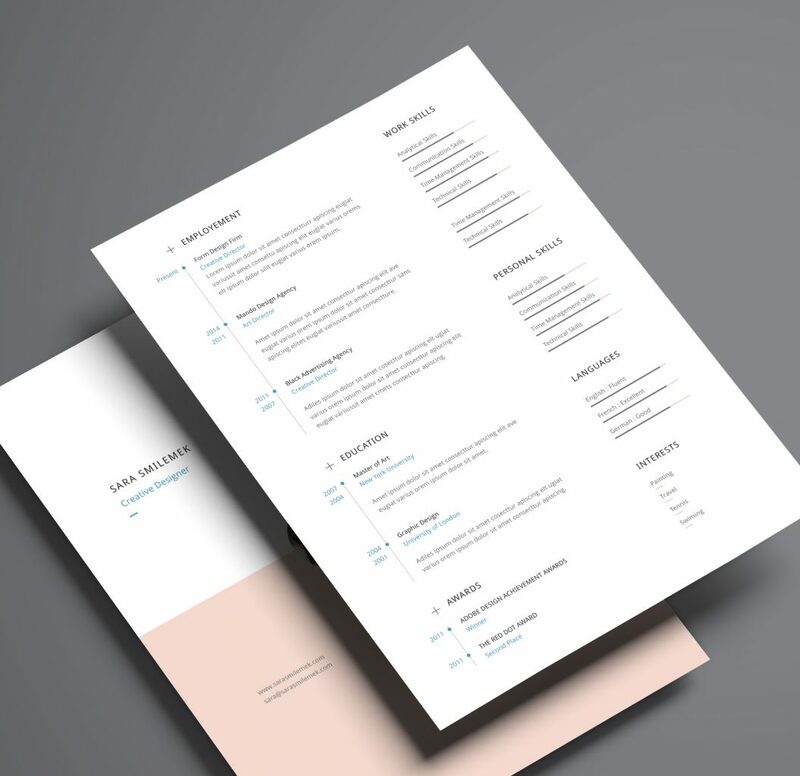 A simple, clean & Minimal resume template perfect for all types of Designers, included with blue & green options available to choose from. Everything can be edited in Indesign. 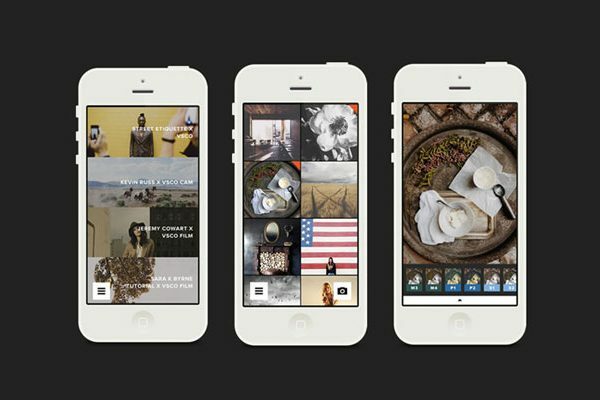 You can add your own pictures and texts, and it will be ready for you to print. 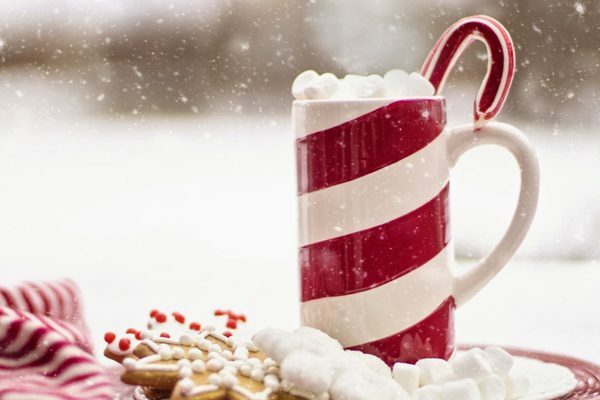 If you don’t like the colors, they can easily be changed. 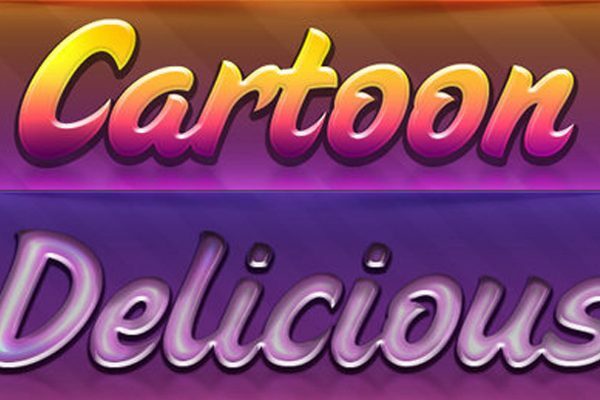 The following fonts have links that can be downloaded for free as well. 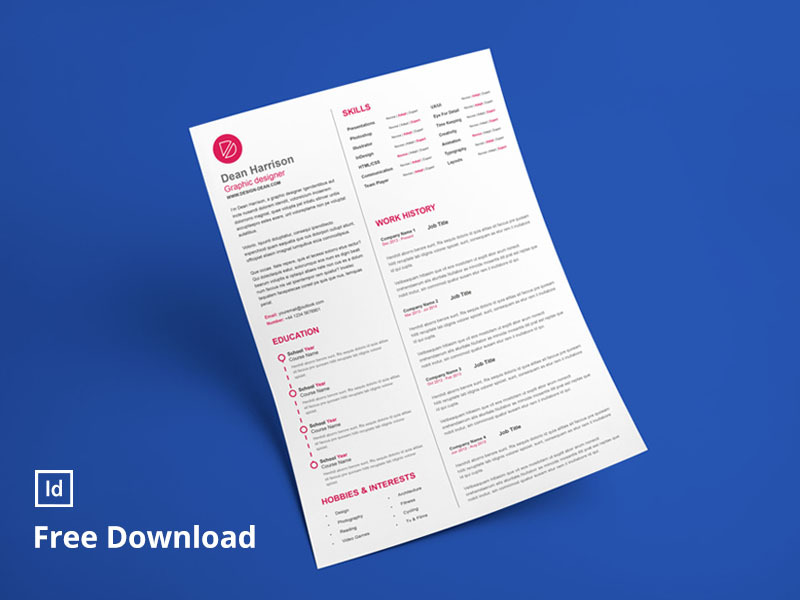 We have another free simple resume, straightforward with details needed, fully editable, A4 size, all layers are named and grouped. 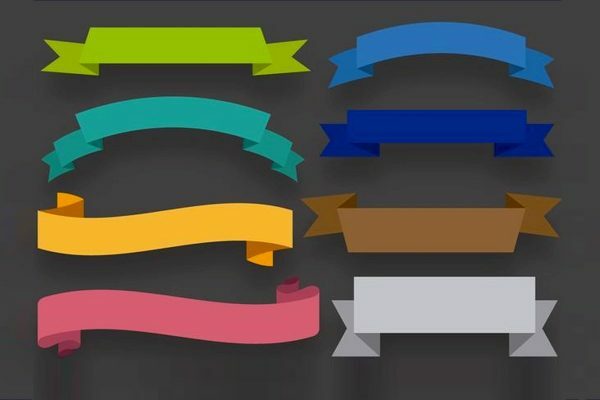 Font used can be downloaded free which are thin, regular & bold. 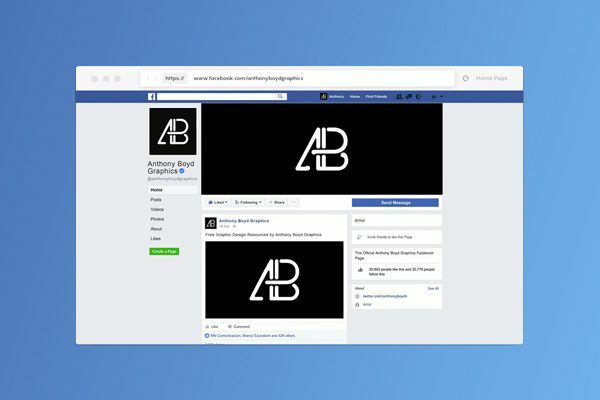 This is an inspired by Google’s visual design framework which has been done into a hardworking single page design. 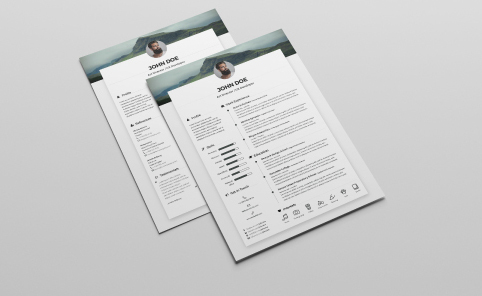 The free material resume template includes areas for skill circles, skill bars, social media icons, images, work experience, education and professional profile. 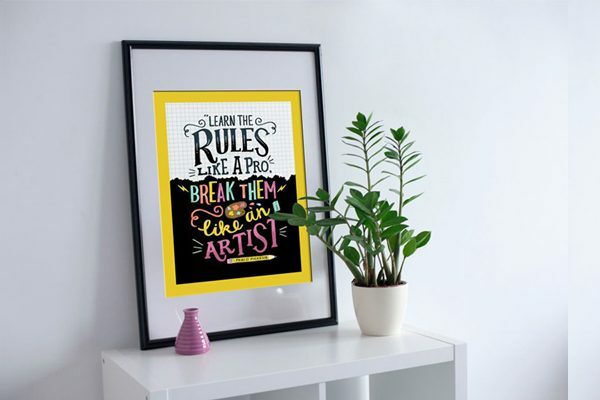 This version is supported in A4 size for Illustrator, InDesign as well as photoshop. 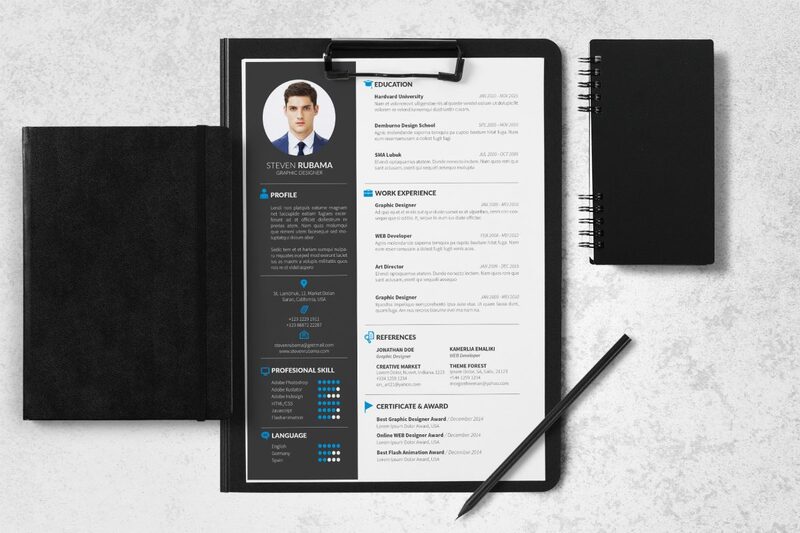 Create your resume in a simple elegant way with this very easy to edit free resume and cover templates for Indesign, Illustrator, Microsoft Word, and Photoshop. 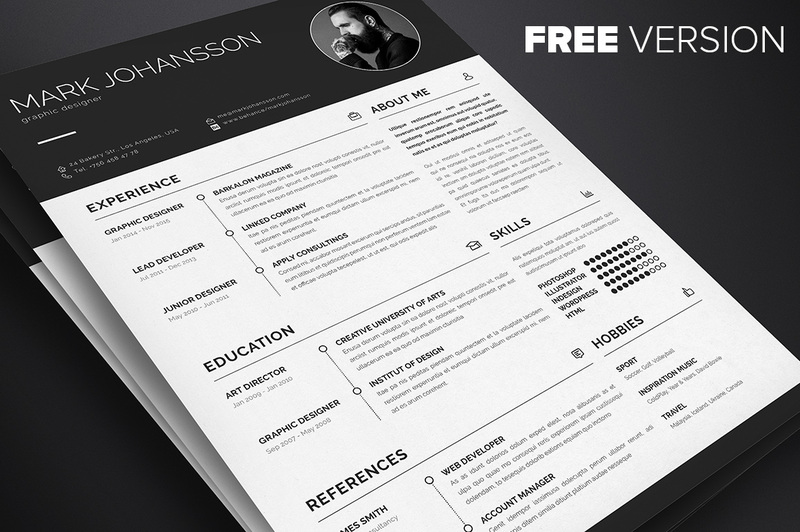 A mighty detailed resume for free download to create your personal resume. 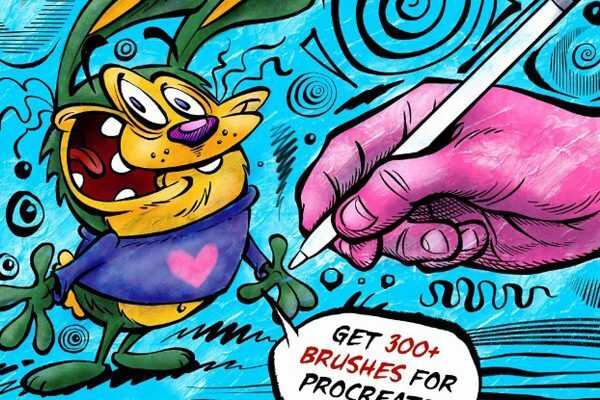 Great for graphic designers and art directors that need to describe details and skills. 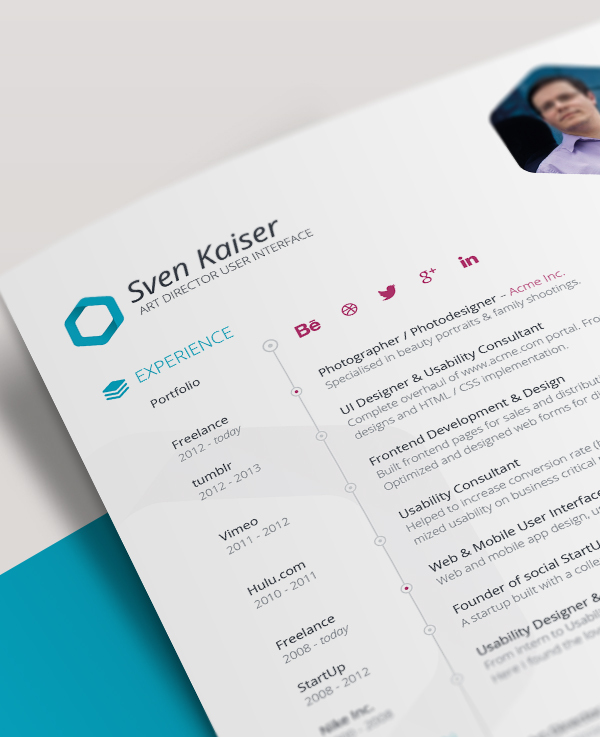 This resume includes icons to be used to describe skills which capture a great look to the design. 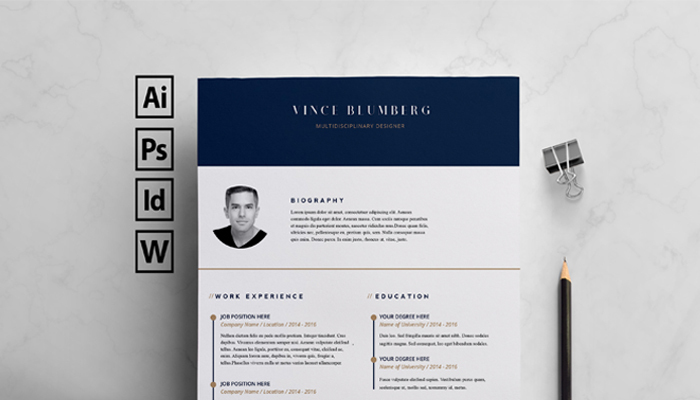 This is a unique minimal four-page cv/resume template which can be edited in illustrator, photoshop, Indesign and word formats. 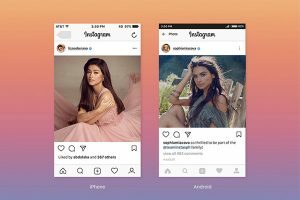 You can edit the photo option to your preference. 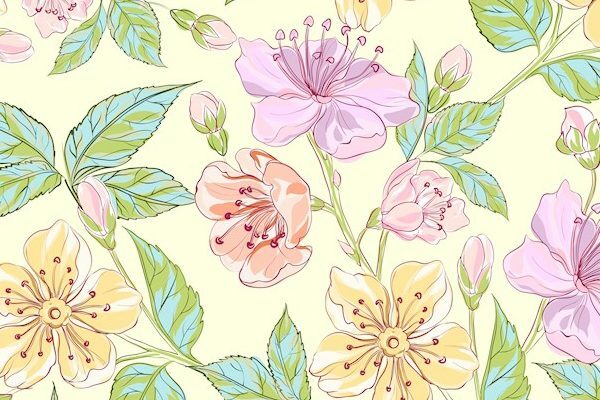 The Included files are for a cover page, portfolio and references pages. 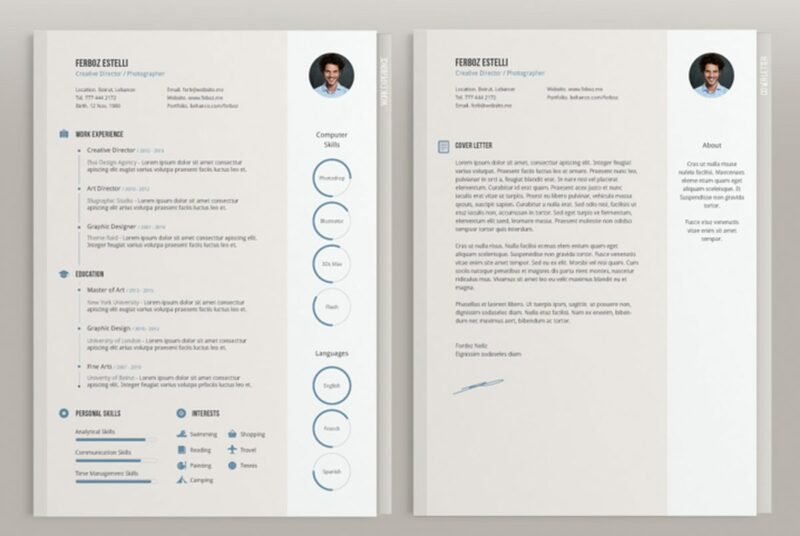 A free professional resume to capture the desired but look presentable along with a personalized photo can be used for personal use. 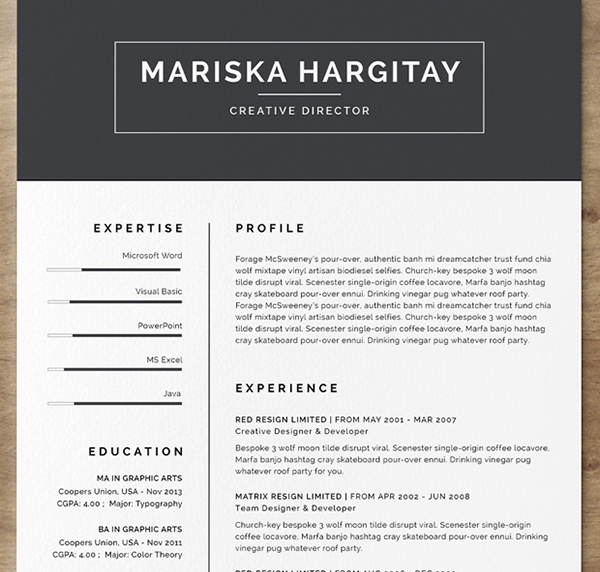 This free resume and cover letter template are available in Illustrator, Photoshop, Microsoft Word. 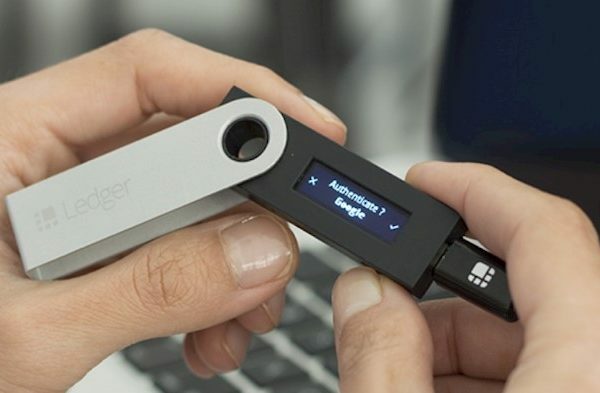 This is very professional and creative design. 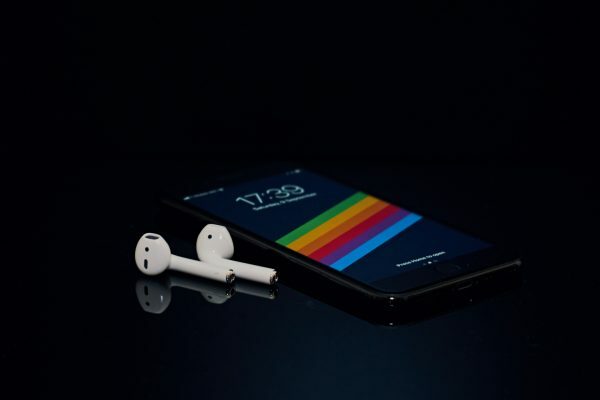 It’s very clean and graphical with the icons and colors. 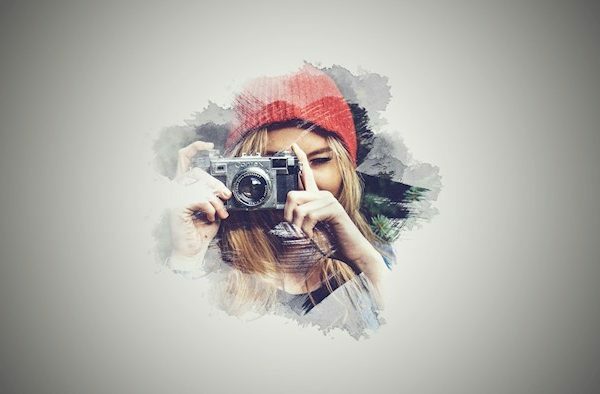 You can describe in detail all about yourself, skills, work experience and best works as well as add a personalized photo. 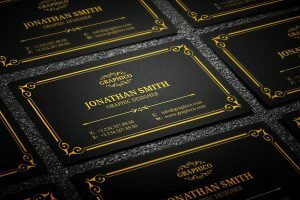 This template is available in Photoshop, Illustrator, and Indesign. 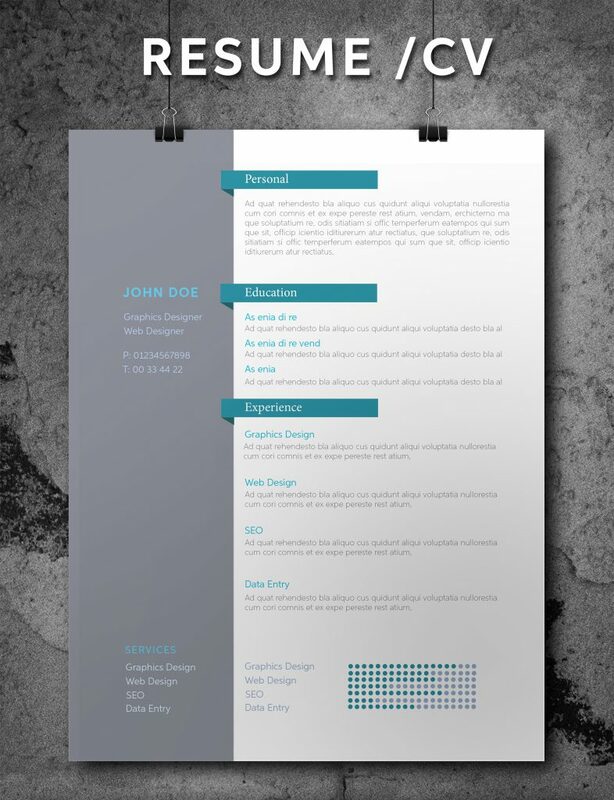 Here is simple and elegant free resume template that you can download for your personal use. The diversity of the organized settings gives it the elegant look desired for any professional job seeker. 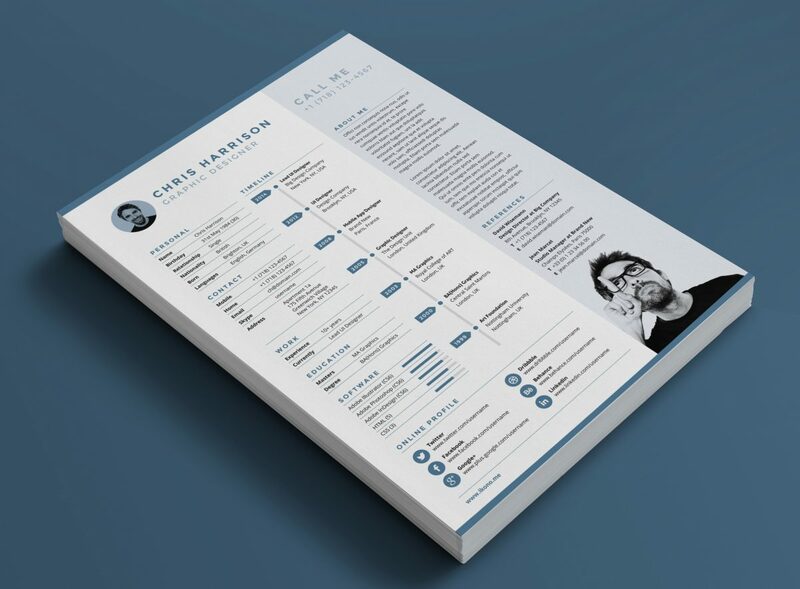 This is an organized yet very detailed simple CV template. 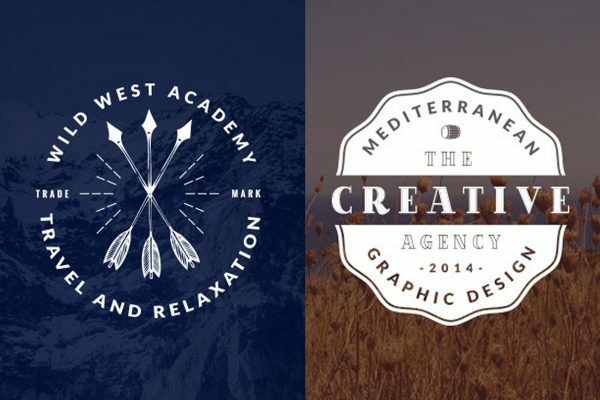 There are 3 designs that can be downloaded and used to edit for your purpose. They are all one sided A4 CV’s that show recruiters and HR departments the main things they are looking for first. 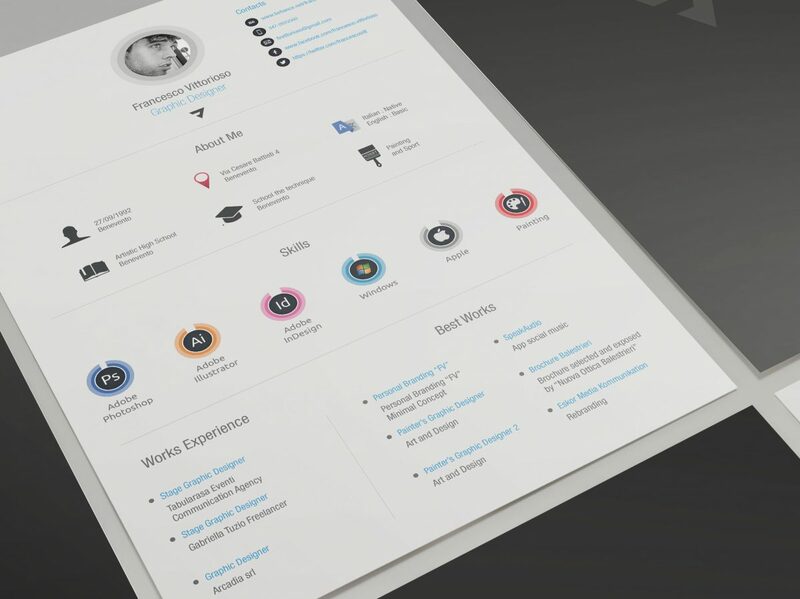 A detailed complex resume, fully editable files, A4 size, all layers are named and grouped. 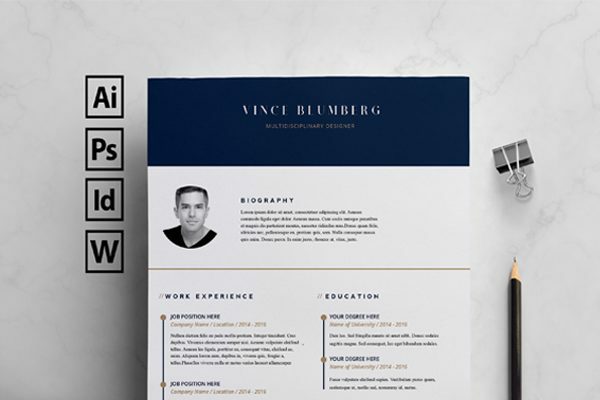 A graphic design resume template with black and white 2 page CV files based on a strong grid with clear typography rules that can be edited. 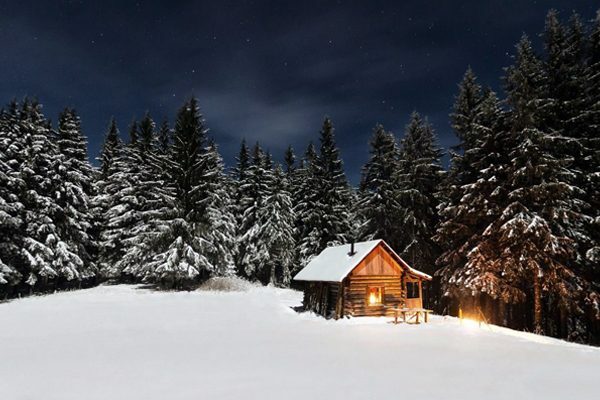 Images can be changed as desired. 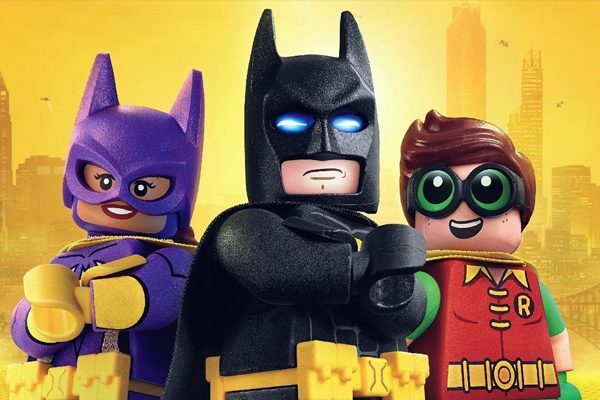 Files that are included are fonts, instructions, CV, and other links.